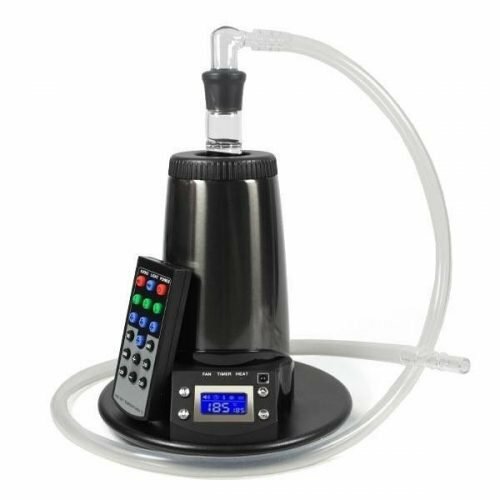 The Extreme Q Vaporizer came out in early 2008 and was manufactured by the Canadian company Arizer who also happens to make the V-Tower model. 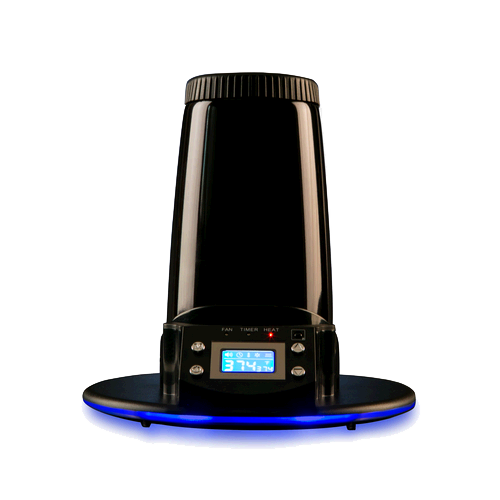 The Extreme Q is one of the few 3 function units with a digital temp LCD control that uses forced air, direct inhalation, and also a balloon fill type system. Needless to say, the Extreme Q Vaporizer Review was a fun one. There is a almost silent 3 speed air fan that uses forced air to produce just the right mix of both air and heating with each draw. This is accompanied by the ceramic heating element. The filling chamber (made of pyrex) and the glass adapters for whip as well as balloon kits do well to standing up to the elements and constant daily use. 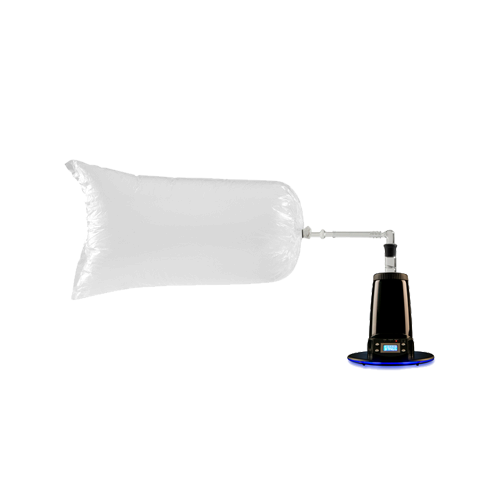 1) The balloon system is used by attaching a glass adapter and the balloon kit toe the bowl. 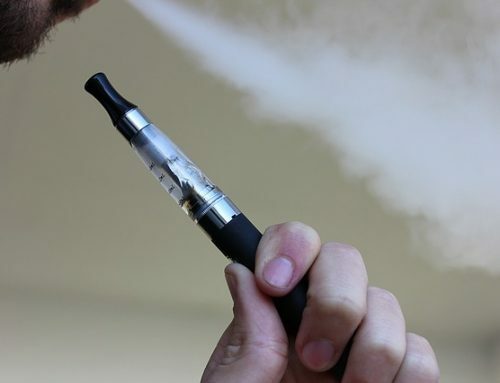 We found that putting the fan on the highest setting is the best way to go as it produces the most dense vapor layer. 2) Forced air is accomplished using the swivel ground glass whip function which is then combined with a 3 speed silent fan. We found the best level is accomplished by using the fan on the low to medium setting. 3) The final way is to use it as a direct inhalation. You use the medical tubing attached to the base and the swivel which allows proper movement. The Extreme Q even comes with a a remote. 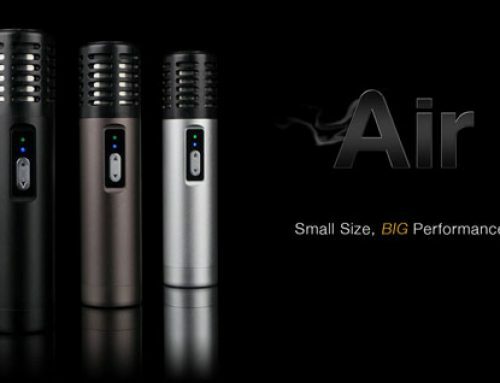 This is probably one of the most necessary accessories I’ve seen on a Vaporizer but hey, if it comes with it, why not. 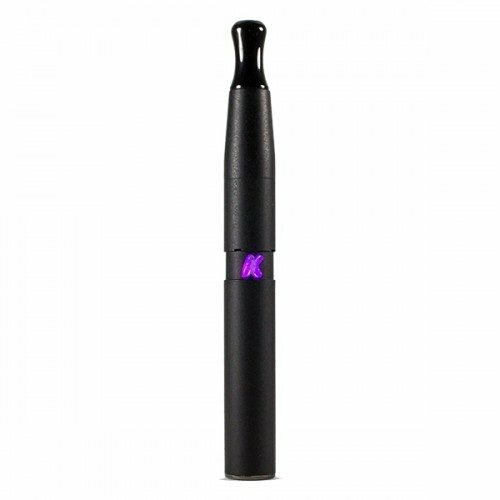 You are able to control all of the primary functions of the Vaporizer with it. The average heat up time is around 2-3 minutes and temp can range from 100-400 degrees. It takes about 4 minutes for it to cool down. 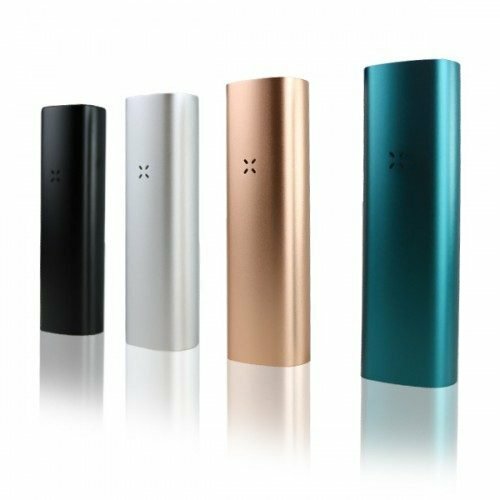 Another quality aspect of this vaporizer is the fact that it comes with a lifetime warranty, though this is restricted to normal use. If a problem comes along that doesn’t fall under the warranty, you can purchase any of the replacement parts for a fee. Overall, we were very pleased with this unit. In terms of price it ranks up towards the top. To continue our car metaphor, this unit falls in the BMW range in terms of price and quality. 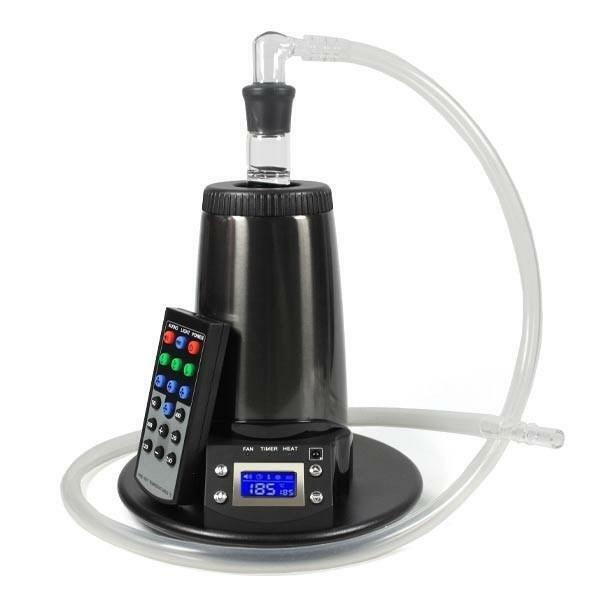 We think that this is a perfect higher end vaporizer for those who cant or don’t want to afford the Volcano Vaporizer. 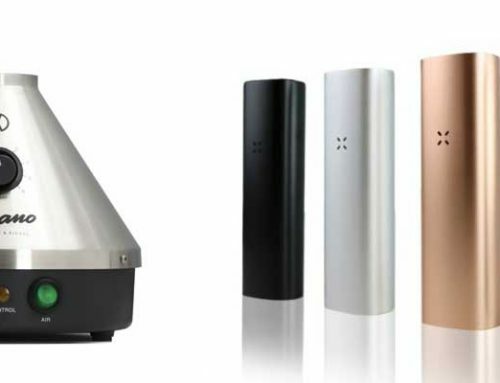 It really comes down to the quality of construction with these vaporizers. 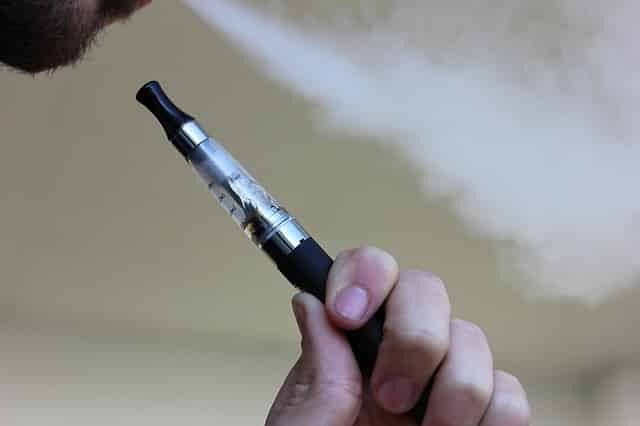 If you don’t have solid construction and solid parts, you aren’t going to get as efficient of a vapor and that sort of defeats the purpose. 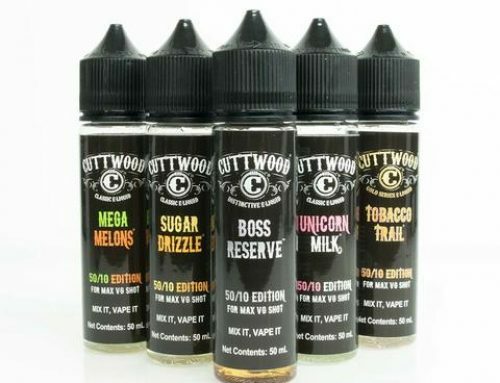 The Extreme Q covers this quite well and gets our seal of approval for an at home vaporizer.